Dr. Stephen Eric Metzinger is an authority on blepharoplasty, and writes peer-reviewed journal articles on the procedure. He uses his academic and practical expertise developed over almost two decades of plastic surgery experience to provide blepharoplasty patients with medical and cosmetic benefits. Ocular ptosis, the drooping or sagging of the eyelids, can be uncomfortable and prevent you from seeing properly. It can also give your face an aged or sleepy appearance. Dr. Metzinger will customize his surgical techniques to meet your needs and exceed your expectations. To learn more about blepharoplasty performed at our Metairie, LA practice, or to schedule a consultation with Dr. Metzinger, contact us today. Dr. Metzinger will determine the best surgical plan for your blepharoplasty based on your initial consultation. Depending on the condition of your eyelid and your desired results, Dr. Metzinger will perform either a transcutaneous or transconjunctival blepharoplasty. 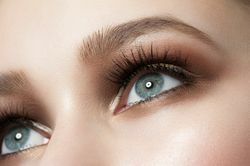 During a transcutaneous blepharoplasty, he will make a small incision either above or below your lashes to remove excess skin, fat, and tissue before pulling the skin so it is smooth. Finally, he will suture the incision closed. A transconjunctival blepharoplasty is a more advanced procedure in which Dr. Metzinger will make the incision within the eyelid, tightening the muscles and removing fat deposits. He is a leading practitioner for this surgical technique, and has published a scholarly article to educate other plastic surgeons about how it can be used to rejuvenate patients’ eyelids. During this procedure, he may also use a powerful laser to tighten the underlying skin for a youthful appearance. Both transcutaneous and transconjunctival blepharoplasty can be performed on your upper or lower eyelids (or both, in some cases). Dr. Metzinger sometimes combines blepharoplasty with fat grafting to provide a more youthful appearance. During the procedure, he will inject your eyelid area with your own fat tissue, removed during liposuction and purified for reuse. Fat grafting can provide a very natural look, since it uses your own fatty tissues to add volume to your face and further diminish wrinkles or sagging. Dr. Metzinger is an experienced and respected surgeon with expertise in blepharoplasty. He is uniquely qualified to help you look and feel your very best. Contact our practice today to learn more about this procedure or schedule a consultation with Dr. Metzinger.